The American Motorcyclist Association (AMA) and AMA Pro Racing have announced the creation of a new professional ATV racing championship set to begin with the 2007 season. With the 2006 Grand National Cross Country (GNCC) and World Off Road Championship Series (WORCS) meets concluding at the end of October, the Polaris Outlaw proved it was a worthy competitor its inaugural year on the race circuit. Yoshimura R&D of America is pleased to announce two new contingency programs for ATV riders competing in the WPSA Powersports Series. 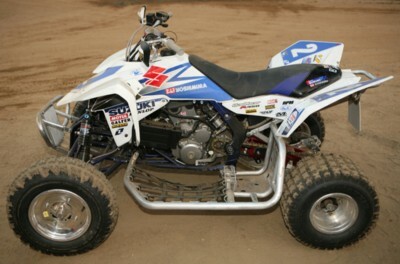 The '06 ATV season was more than memorable for Team Yoshimura Suzuki and its riders. It was a season punctuated with highs and lows. Pretty in pink has a whole different meaning these days. Walk into an ATV dealership or open any ATV-related publication and you’ll see an increasing amount of riding gear for women and girls. 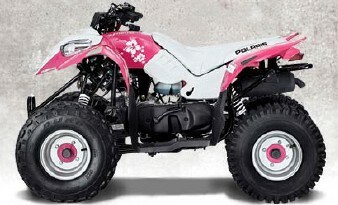 Jeremiah Jones Suzuki LT-R450 ATV Raffle Tickets on Sale Now! It has been just over one month since one of the fastest ATV motocross racers ever, #2 Jeremiah Jones, was paralyzed in a first turn pileup at Round 12 of ATVA Motocross Nationals. Jeremiah has since successfully undergone back surgery to repair his damaged vertebrate and is now receiving outpatient rehabilitation care at the Frazier Rehabilitation Institute in Louisville , KY , so he will be prepared to begin a new chapter in life, which will include new obstacles for him to overcome. Gen Y consumers (14 to 23 year olds) are a complex lot, an intriguing market to attract. They are environmentally-conscious, thrill-seeking, competitive and they like to define their own counter culture. 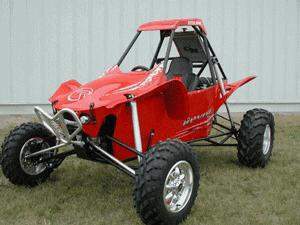 The new machine looks like a dune buggy, but Chad Johnson, director of engineering, said it’s geared toward the sand-rider and ATV market. Monster Energy Signs ATV GNCC Pro William Yokley and Pro ATV Motocross and Desert Racer Cyle Chislock to its Stable. Monster Energy jumps into the ATV racing world in a big way by hooking up with two high-profile pro racers. GNCC contender William Yokley and desert racer Cyle Chislock give Monster Energy two top rated Pro ATV competitors representing both the East and the West.